Joshua's Jewelry - We are honor bond to provide you jewelries which have an aesthetic appeal! We are honor bond to provide you jewelries which have an aesthetic appeal! If you need pearl earring, wedding rings, diamond necklaces, visit Joshua's Jewelry located in Los Angeles, CA. 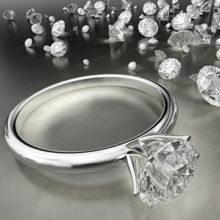 Get the cash you deserve from our A+ BBB gold jewelry buyers, diamond buyers, watch buyers & silver buyers. We are San Diego's original luxury pawn shop. Get a free verbal appraisal today. Hindged is a custom gold manufacturing company that designs and produces body jewelry which can sale online. Order online!